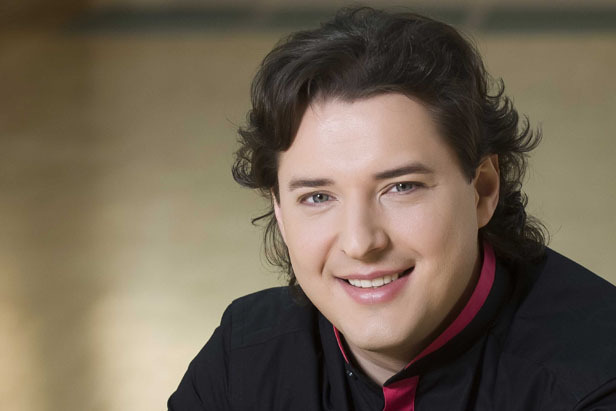 Today we are sharing a success story of young Russian opera tenor Dmitry Korchak, who is now singing Ernesto in "Don Pasquale" at the Teatro Real Madrid under Maestro Riccardo Muti. Winner of the Francisco Vinas International Competition Prize in 2004 and twice winner of Placido Domingo’s Operalia Competition, he delights audiences worldwide in various celebrated venues, playing leading roles and collaborating with renowned conductors and orchestras. Recently he had some highly successful performances as Lenski in Eugene Onegin at the Wiener Staatsoper, together with Anna Netrebko as Tatiana. Amongst his current and future engagements are “I Puritani” and "Cosi fan tutte" at Opéra Bastille, “La Rappresaglia” by S.Mercadante, conducted by Riccardo Muti, at Teatro Real Madrid and in Ravenna, “Don Giovanni” at the Metropolitan Opera and Toulouse Opera Theatre, "Il Barbiere di Siviglia" again at Teatro Real Madrid, "La Donna del Lago" in Pesaro, "Le Comte Ory" at Lyon Opera, as well as concerts at the Bad Kissingen Festival and recital tours.